How to create a food delivery app like UberEats or Deliveroo? In this post, we will discuss the important features of a food delivery app like UberEats or Deliveroo. 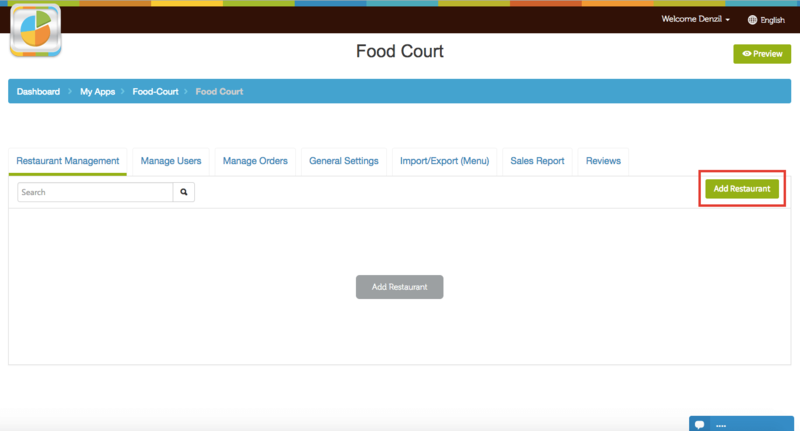 The highlight of the blog is a step by step tutorial video on making a restaurant version and deliver version apps for food court with Appy Pie’s App Builder! In a world as busy as it is today, it is convenience and speed that is of prime importance for any kind of consumer, in any business category. An ideal service today needs to offer freedom of choice to the consumer, adaptability to fit into the tight schedule of the consumer, great ease of use and a measure of thoughtfulness. The on-demand food delivery apps of the day like UberEats, Deliveroo, Postmates, Swiggy, Zomato and quite a few others are great example of services that have the potential to live up to all this and more! It is this potential and promise that makes them a lucrative investment for entrepreneurs, a challenging task for the developers and an amazing service for the premium consumer today. In this post, we are going to talk about the basics of developing a food delivery app, the features it must have, the cost it may incur, the case of UberEats, the challenges & the ways to overcome them, and some business tips to get you started. The millennials are bringing dining out into a dining in setup where they prefer the food to come to them, instead of them going to eat out. They are looking for restaurants to deliver to them at the tap of a screen and in such a scenario, food delivery apps are in great demand. The modern day food delivery apps like UberEats, Postmates, Deliveroo, GrubHub, FoodPanda, JustEat, Zomato, DoorDash, Swiggy and so many more offer a wide range of restaurants, cuisines, and payment options to choose from, making their lives easier. 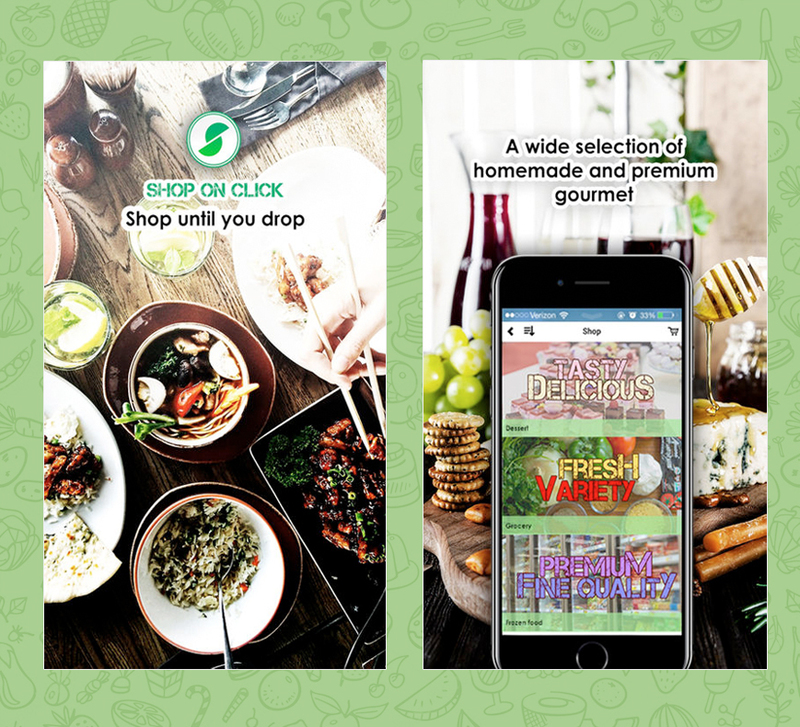 It is services or apps like these that have the potential to changing the face of the food delivery industry as more and more consumers are getting accustomed to hunting for deals in apps of the one stop shop variety! In the current food delivery scenario, there are two major food delivery start-up models that are dominating the current market. This model is based on the traditional system of food delivery. These startups that are based on the aggregator model act as the third party who manage the consumers and the restaurants in the vicinity. 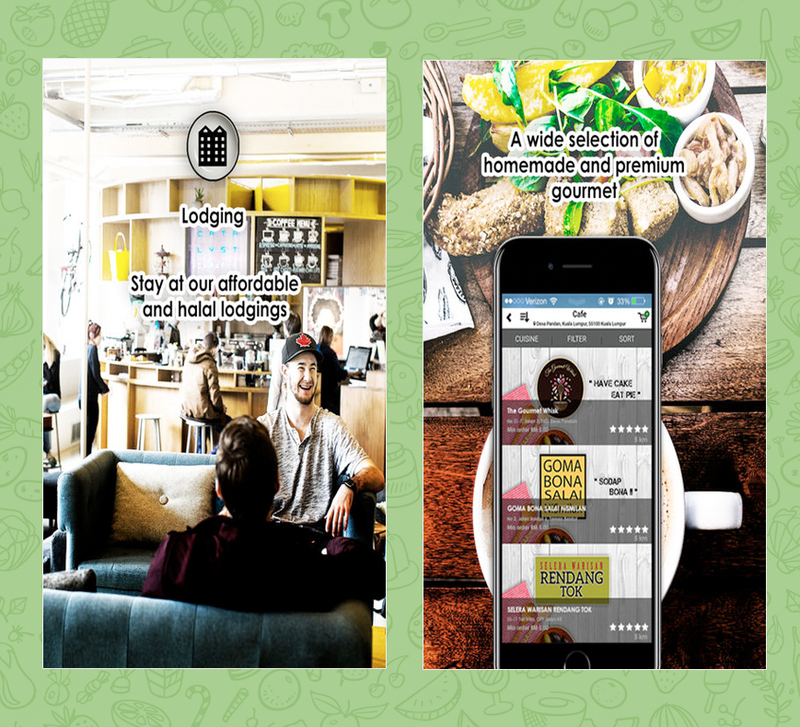 They provide a platform for the consumers to browse through a great number of cuisines and restaurants. As a third party the food delivery app aggregators provide support for ordering and offer exposure to the restaurants. The consumer can explore the menus, reviews, ratings, and prices only after registering on the app, and then place their order. After the confirmation of the order, the information is passed on to the restaurant by the aggregator and then the food is sent out for delivery. The dispatch and delivery of the food here is taken care of entirely by the restaurant itself. Apps like Zomato fall under this category. This model differs from the aggregator model as it supports the partnering restaurants with complete logistics support. This model can extend its services quite profitably to small restaurants, food joints, and home delivery services to deliver food in a seamless manner. This model offers a lot of ease and support to start-ups in the food industry who do not have the resources or the bandwidth to have their own delivery system in place. From a restaurant’s point of view, this model brings a horde of benefits. Adapting this model rules out the need to maintain delivery personnel, vehicles, or managing and making the deliveries. This model is preferred by the restaurants for the ease and support it offers to them hence a lucrative business model for a food delivery start-up. This is the chosen model for highly profitable food delivery apps like UberEats and Swiggy. So what is it that is needed to build a food delivery app like UberEats? There are a number of common features that determine the future performance and success of the app. Data is the real king here as it is the one thing that attracts themost users. The more menus, cuisines, restaurants, ingredients, nutritional content, calories, delivery times, restaurant addresses they have, the more interested and engaged a user is going to be. It is this information that helps the consumers make their mind up about what they would like to order. In this day and age of technical revolution, all this information and other details can be accessed through API used in the mobile apps. It is not enough to be able to sit at home and place your orders, it is only natural that your users would want to make their payments online too! Whether it is UberEats or Zomato, all the leading players in this market provide this feature where users would not have to worry about having enough cash in their wallets. For an app that is truly popular among the users, it is important that you incorporate as many payment options as possible. Some fo the most preferred mediums are Stripe, Visa Checkout, Paypal, or even Square. These mediums allow the users to use debit or credit cards to complete their payment without a hitch. This is a world of instant gratification and in this fast paced world most users are looking for quick deliveries with maximum efficiency. 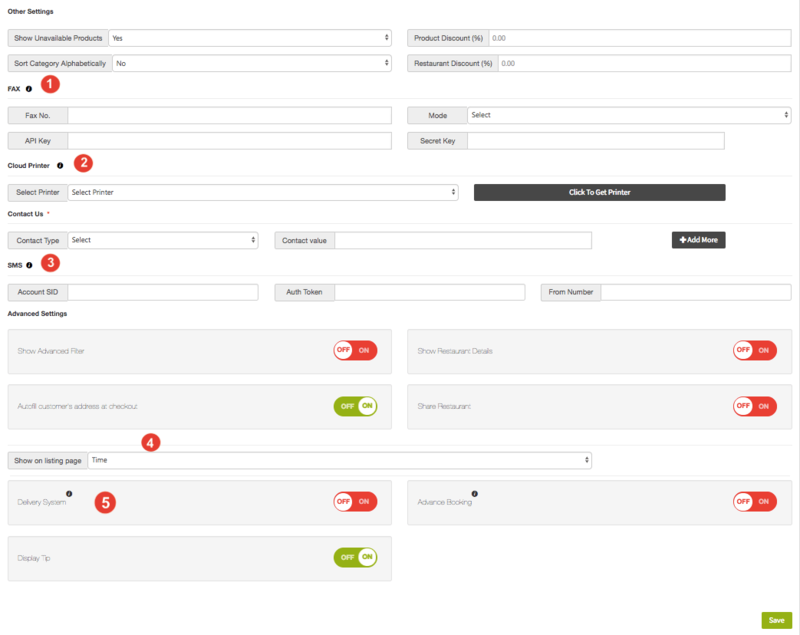 It is therefore wise to have a feature displaying an estimated delivery time for the benefit of the user. This goes a long way in managing the expectations of a consumer and effectively reduces the consumers’ anxiety levels. While UberEats gives an estimate of the delivery time Postmates is known to be pretty accurate in the prediction of the time taken. This might seem like an impossible accomplishment, but in the age of machine learning, it isn’t too farfetched. 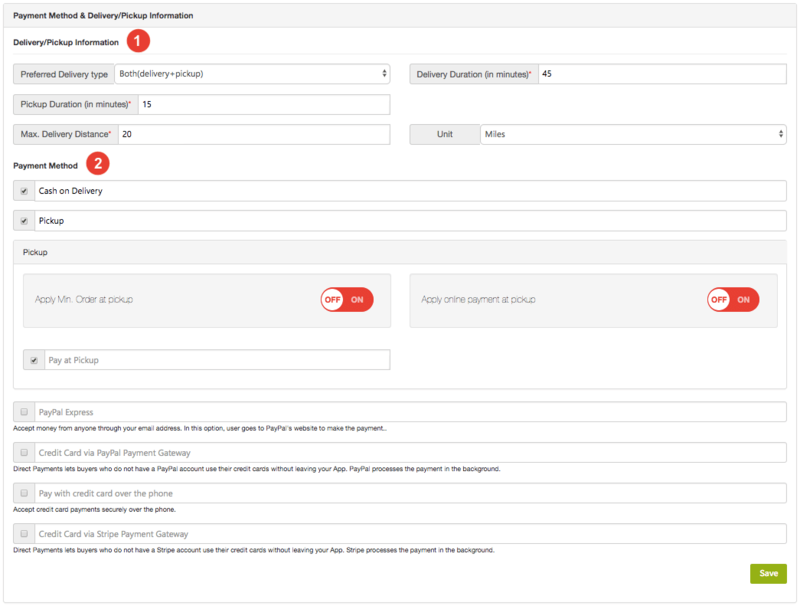 All possible contributory parameters are taken into account and the delivery times are calculated automatically whenever an order is placed on your app. Even though this feature was popularized by the leading taxi app Uber but comes in really handy for the food delivery apps. GPS is being used extensively by the leading food delivery apps like Postmates and restaurant apps like Pizza Hut and Caviar to offer only the best experience to the consumers. The way GPS works here is that first it identifies the user’s location and once the user’s location is verified, there is a two way tracking and GPS functioning where the consumer can track the progress and movement of the delivery personnel and the delivery personnel would be able to see the way to the consumers’ location. Some of the great APIs for this feature include MapKit, Google Maps or Waze’s Navigation. Uber uses Google Maps on all the platforms. The food delivery apps integrate the freelance drivers or delivery personnel who are filtered quite stringently, but they still need to be monitored from time to time to ensure that they are doing a good job and not doing anything that would malign the company’s reputation. The best and most efficient way to accomplish this is through a consumer review and ratings system. Apps like Postmates, DoorDash, UberEats offer their consumers an opportunity to provide a rating for the delivery personnel based on their experience. It is on the basis of these ratings that the apps decide whether they would continue with the delivery personnel in question. The way a food delivery app function is completely different from your Instagram or WhatsApp. The best solution for a good food delivery app entails creating three different versions of the app according to the three different user groups on your app – the consumers who would be ordering on your app, the delivery personnel you would be hiring, and the managers from your restaurant partners. The consumer’s journey with your app begins at the signing up or registration phase. As soon as you employ the feature of creating consumer accounts you form the foundation for a deeper, more meaningful bond with them. To the consumer this offers the possibility to log in to their accounts with ease and retaining any custom setting they might have employed. Some of the most basic functions that a consumer must be able to perform here include the ability to create a username, password and link at least one card as a payment option for online payments. These functions may advance to include features like adding food preferences, profile photos, adding favourites etc. in this process one must keep the following points in mind. Including social media logins through Facebook, Instagram, Twitter, and more. Gaining access to information about the restaurant including the restaurant’s cuisine, prices, deals, discounts, and reviews. In order to enhance the UX, it is a good idea to pay attention to the search feature which might enable the search either by restaurant name, locality, or by the names of specific dishes. Now that your consumer has found something that they like, it’s time for them to order. 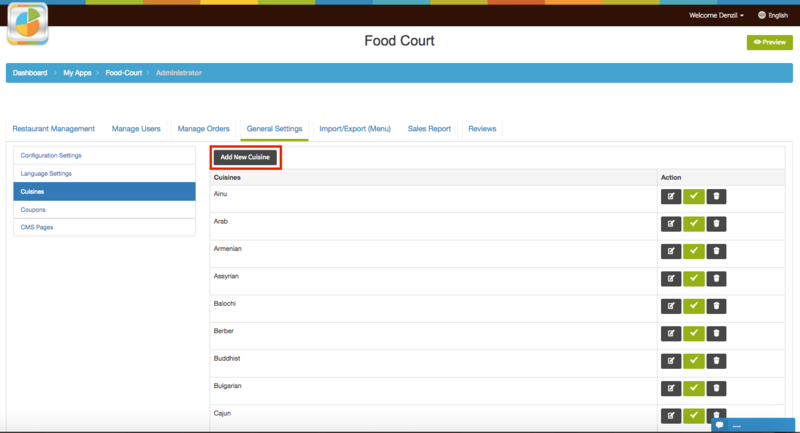 Here, the user must have the ability and freedom to be able to add, remove or edit their chosen dishes to and from their cart. The consumer should be offered a summary of their order before they confirm the order to give them an option to cancel an order if something goes unexpectedly wrong. One added feature that we recommend here is to offer the consumers an option to either get the order delivered to the specified location or pick it up. This might be favourite for you and the restaurant partner, but not really something that a consumer looks forward to. The most crucial aspect here is safety with speed and ease. The more options you offer for payment, the more consumers you would invite to your fold, hence add as many as you can think of. Now that the payment is done, the consumer is looking forward to their favourite meal, whether they are relaxing at home, busy at work or are sunbathing at the local park. Setting the right drop location is a necessary feature which needs your attention and when you provide the advanced feature of tracking the order in real time, you are offering a relief from the anxiety of waiting and guessing how long the delivery would take! So the consumer has now received their order. What now? Eat, of course and then letting everyone know how your experience was, through a 5 star rating or a detailed review. 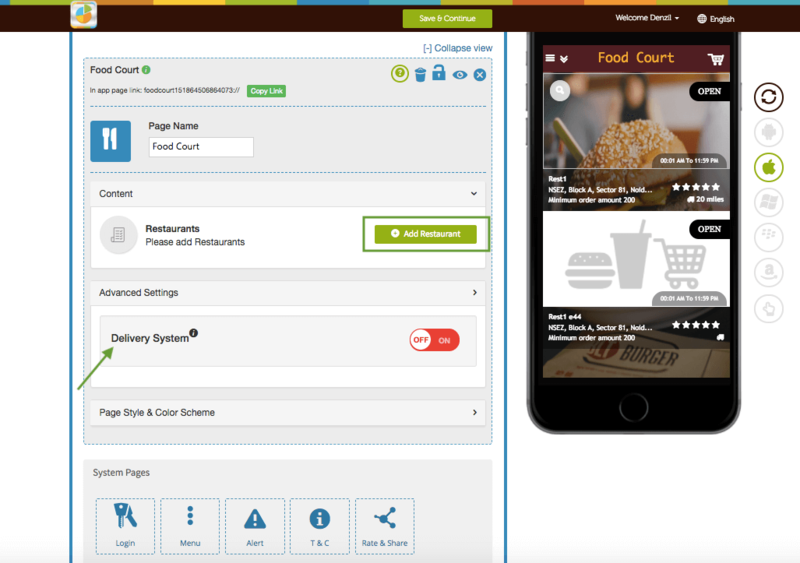 Empower the consumers with an ability to rate the restaurant, the dish, and the delivery personnel. Did they have to wait for too long, was the delivery guy rude, or the dish too salty? Let them write it out. The delivery personnel need to first identify themselves and for that they have to register on their version of the app just like a consumer would have to. This registration may either be done through mobile number, email address or a social media account in addition to filling out some critical information. At this stage it is important to provide an option of password recovery option as well. Once the delivery personnel have registered themselves, they need to have access to all relevant data about the size of the order, the pickup and drop locations, and any other specifications. This feature of the app must allow the delivery professional to approve or disapprove the delivery request by booking or rejecting it. Once the order has been delivered by the delivery personnel, and the consumer has confirmed the delivery of food, the payment is disbursed to the delivery personnel’s account or through cash. This completes the whole chain of ordering. There are some advanced features that may be added to the delivery personnel version of the app which can yield greater results. Though these features mentioned below may not be an absolute necessity, but contribute in a great way to set you apart from the thousands of other apps. 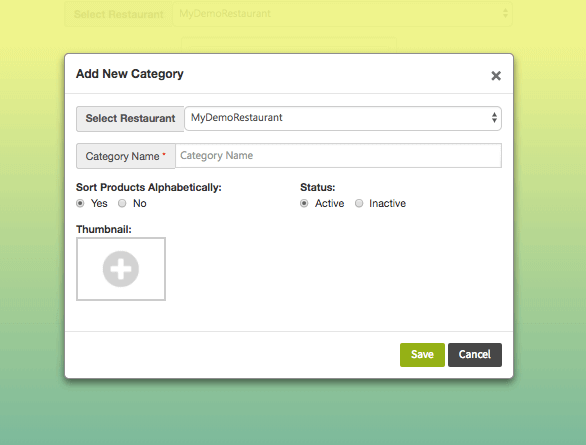 This is more of an inherent element than feature for the restaurant version of the app. 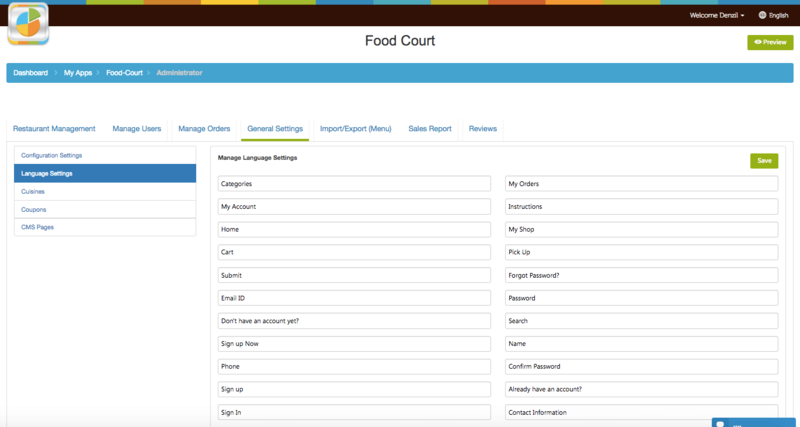 An admin panel is a web based portal of a manner that helps the restaurants manage the whole process right from the placement of order, requests from delivery personnel or managing the restaurant information including any changes in the menu, delivery times etc. This is where it all begins, and hence deserves all the possible attention and focus of the developer in providing the restaurant access to all the key features at the same time. This feature is similar to that offered in the versions for the consumer and the delivery personnel. The restaurants too need to register themselves using either an email address and creating a password in order to be visible in the system. This feature would need the password recovery element to it. Update information or details about the restaurant including name of the restaurant, contact information, address, open hours etc. 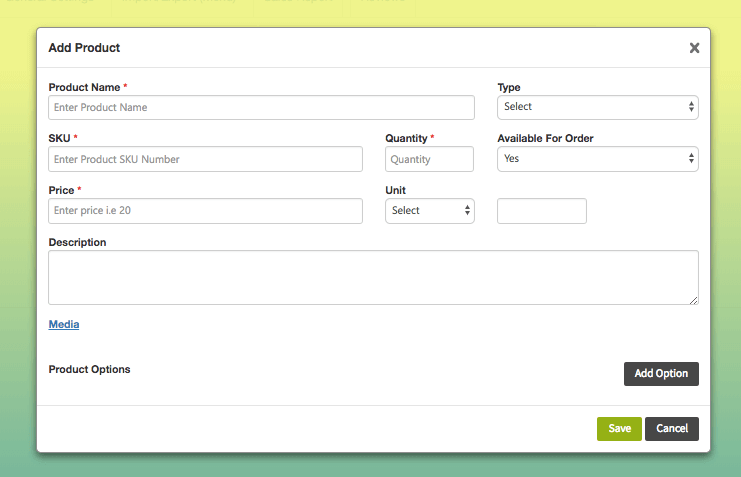 Update menus by adding or removing dishes, changing prices, descriptions, delivery charges etc. 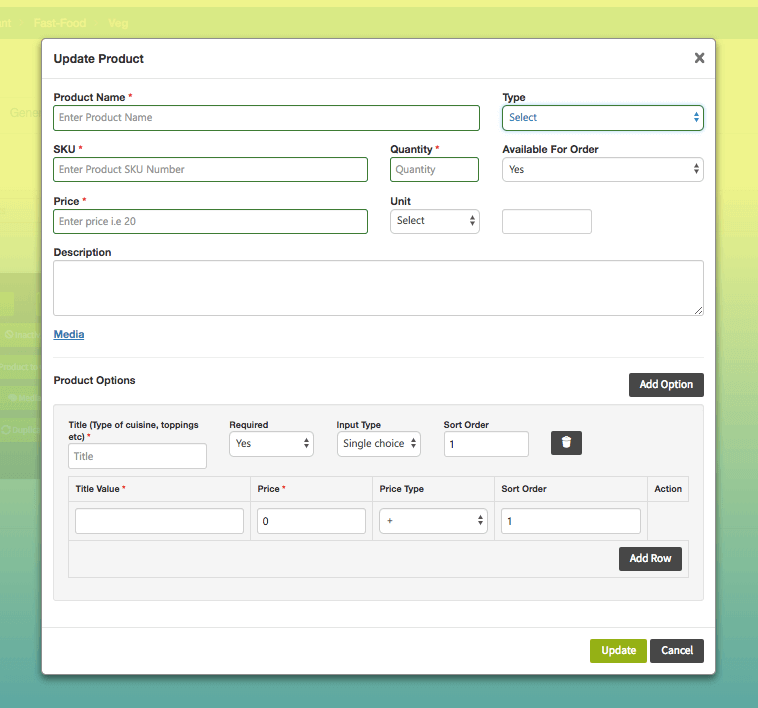 Update the status of the order and send out notifications to the consumer when it is accepted and to the delivery personnel when the order is ready to be picked up. At the end of this stage, the food order is ready and is then dispatched for delivery. This is one of the more simpler and direct features where the restaurant receives the payment. The payment is only released to the restaurant after the consumer confirms that they have received the food. 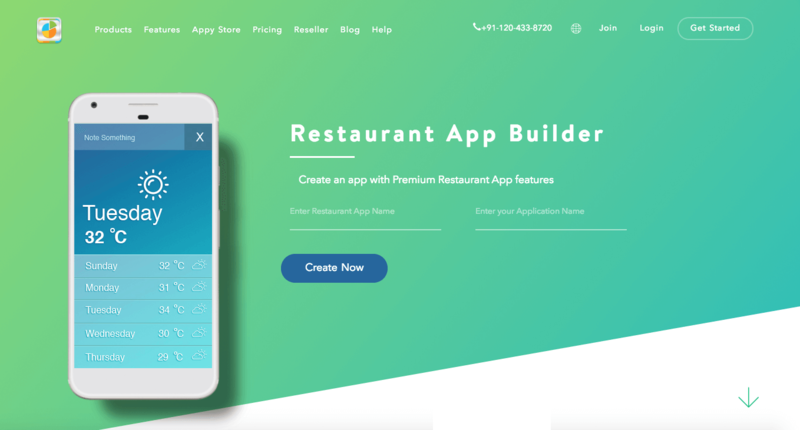 While the features mentioned above are an absolute necessity when it comes to developing the restaurant version of the app, there are certain features that can definitely enhance the user experience and make your app their favorite. Provision extended to the restaurant to opt for a featured listing in the app. The invoice be generated directly from the portal and then forwarded as a message and e-mailed to the client. One of the initial questions that confront a new app developer building a food delivery app is – how to find suitable audience to market your app? When it comes to defining the persona of the end user, you need to be a little more specific than just delivering tasty meals. You would need to understand what is it that sets you apart and how is that adding any value to your audience. In order to get there, first you need to define a clear target, whether it is busy professionals who are looking for quick and healthy meals or college students on a Saturday night. If your USP is delivering delicious fast food, you need to target the section of the population that is not bothered about the diet part and are planning to grab a quick delicious bite and just hangout with friends. You can always go back to the board and improvise. UberEats has its USP as it delivers a huge selection of delicacies from a variety of cuisines. Postmates on the other hand has established its USP in not restricting themselves to just food and delivering just about anything. The second question is what all is needed for the development of the food delivery start-up app. Apps like WhatsApp, Snapchat or Instagram need only app for the potential audience and the job ends there. This is wildly different from the food delivery start-up that needs 3 versions of the app (one each for the consumer, the delivery personnel, and the restaurant partner) and an admin panel for the restaurant bringing the deliverables up to a total of 4. The main intent of the development process and the app should be to keep it all simple and make it easy to use from all the user ends. 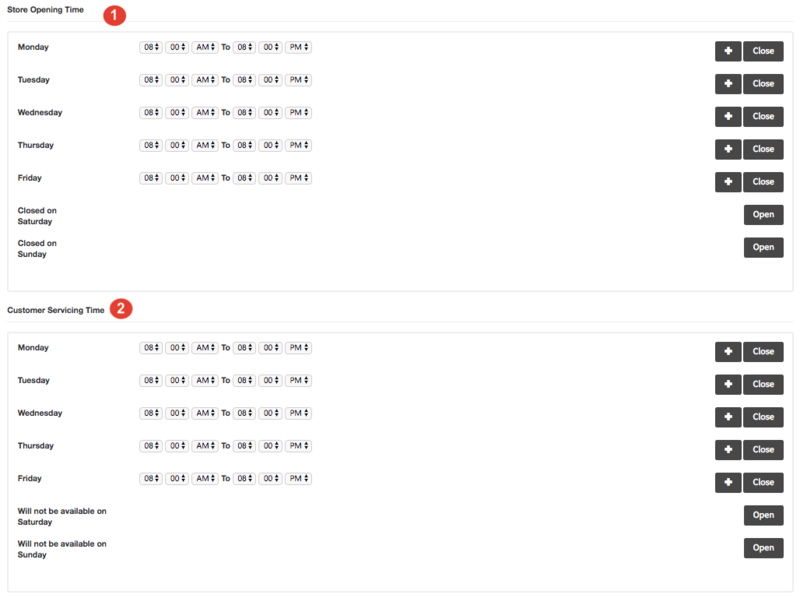 A user, while using an app like UberEats would like to be offered a one tap order with the option to explore all the restaurants with different search parameters. Whereas a restaurant version app manager would need a database that is detailed and is easy to use in order to handle the orders and a strong GPS integration to define the pickup and drop locations with ease & accuracy. The delivery personnel too would need a strong GPS integration to be able to determine the time needed and navigate the path to reach the delivery location. Providing the users easy access to find restaurants in the vicinity using their GPS, right after the registration is complete. Offer them a lot of data including relevant information about the restaurant, cuisine list, prices, deals & combos, reviews & ratings and more while allowing the consumers to search for a restaurant by name. 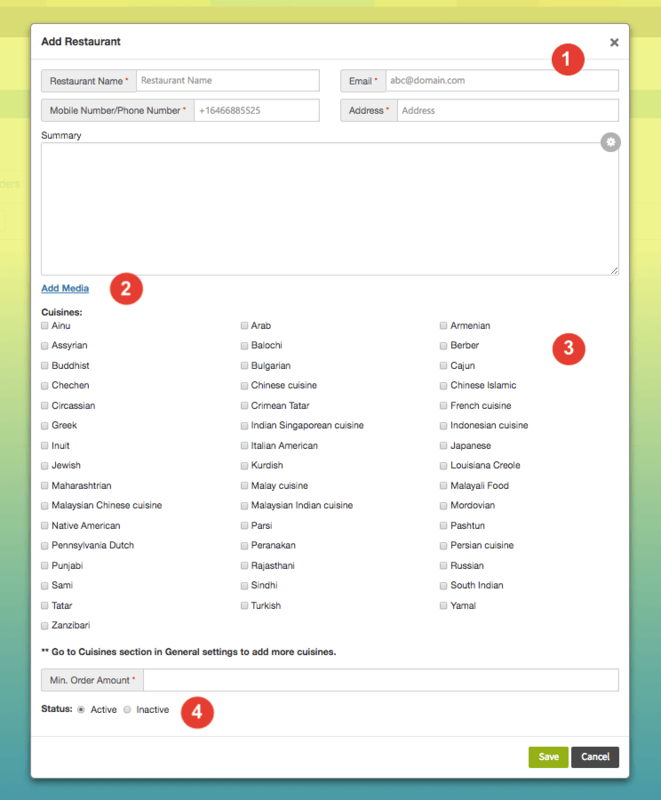 Providing the consumers with an option to add chosen dishes to their cart or remove the ones they reconsider later or might have added by mistake. Providing real time tracking makes the wait a little cooler than the annoyance that it can be! The idea is to make this waiting time seem smaller, with the tracking feature a user may be anywhere, but is aware of the status of the food by the minute! The payment feature is the tricky one, as most people already have their reservations about it and the slightest hitch might have them running the other way. The payment integration needs to be quick, safe, and secured. 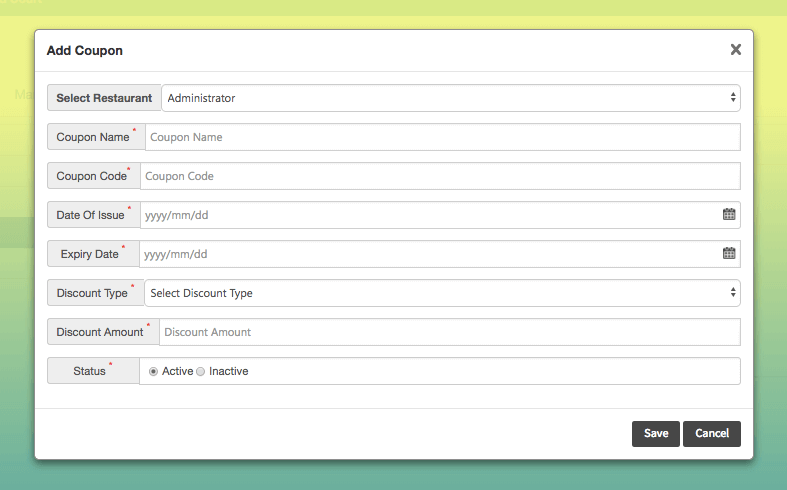 Go for most of the popular payment integrations including Paypal, Stripe, and CCAvenue. Convenient and quick registration of the restaurant. Providing the restaurants the ability to curate the content including the contact details, open hours, photos, menus, deals & discounts etc. which may be designed to attract consumers. Providing the detailed view of the order, ability to confirm or reject the order and sending a notification about the tentative time of delivery. There should be a provision to check the current order list. Payment channels should be provided to help the restaurants assume control over the payment they receive. Popular payment integration services like Braintree and Stripe might be a good idea. Pick the right PR channels to market your idea. Social media channels and inbound marketing options may also be considered. Consider their portfolio and question them about their experience in handling and developing food delivery app development model. Observe their approach to work and determine whether they follow the Lean development process or at least Agile Development process. The agile process aids the in keeping a tab over their project milestones and the problems they might have faced during the process. This is bound to help them understand your needs in a better way and complete the project in the best possible manner. While picking the development partners ensure that they provide you the complete development service including business analysis, lean app development, testing & quality assurance, and the actual release or launch. In order to be able to do so they need to follow a standard coding and utilize the latest frameworks. Be aware of the technologies that they are following. Payment integrations like Stripe, Braintree, and CCAvenue SDKs ensure that food delivery apps like UberEats remain bug free. Additionally Google Places APIs to get details about the restaurants and food joints, Firebase SDK as a database service and many such more integrations fortify the app. Make sure that the development partners are aware of this. 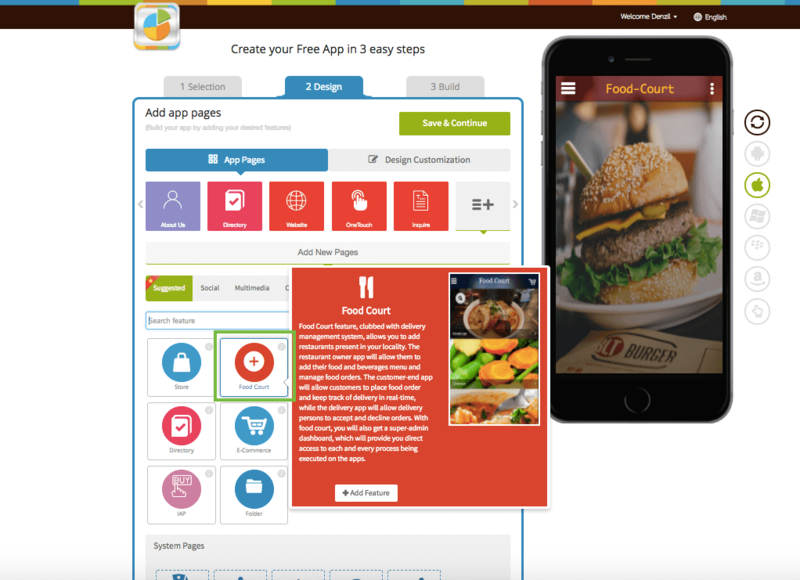 The idea is to be smart and be wise while planning the food delivery app that you are going to build. There are a lot of ground realities that you need to encounter and details that need to be ironed out. There are employees to be recruited, restaurants that need to be contacted, and the most critical part is to develop a perfectly designed food delivery app. Discuss the strategies with your app development company, brainstorm, strategize your promotion plan, among other things. During the promotion make it your motto to earn the consumers’ trust, showcase the USPs you have painstakingly crafted out, and let the discounts take centre-stage. This constitutes one of the most effective strategies to hold on to the consumers for a long time. Once the technical development side of the app is sorted and taken care of, it is time to launch it to the app store of your choice and let the consumers engage with it. However, even a technically perfect app may not promise you the success you have been aiming to achieve. It is for this reason that you have to think of a strong business strategy and as always, we are here to help! Like any other business, your food delivery start-up needs a deep analysis of the market, so that you can define your target audience, and develop an understanding of your competitors. Simple things like focusing on the foods that are more popular to a certain region or locality, finding yourself a free niche might contribute in a big way in getting you a taste of success. It’s simple math really! The more consumers you have enrolled on your app, the more orders they are going to make on your app, which in turn will bring in a higher revenue for you. Here’s a small cheat sheet to help you along in this arena. Start small. Conduct the first launch in a small area in order to test your business concept on a smaller audience and get yourself a good number of users quite quickly. Promote through multiple advertising channels. Do not limit yourself here and resort to the maximum number of options you can opt for including PR, social media and inbound marketing, referral programs and more. Form meaningful collaborations. The small and large retailers are sure to have a certain audience, forge meaningful relationships with them and benefit from these linkages. A stellar customer support system. When you provide fast, relevant, and friendly response to the consumers, they feel connected to the app and are more likely to stay with you for long. Offer lucrative deals, discounts, or other offers to the consumers and keep them coming back for more. Rating and review system. When consumers have a say in the quality that your app is providing, the quality of service improves, and the consumers feel valued. A good compensation for their time. The freedom to choose their own working hours. Performance linked rewards to acknowledge their efforts. 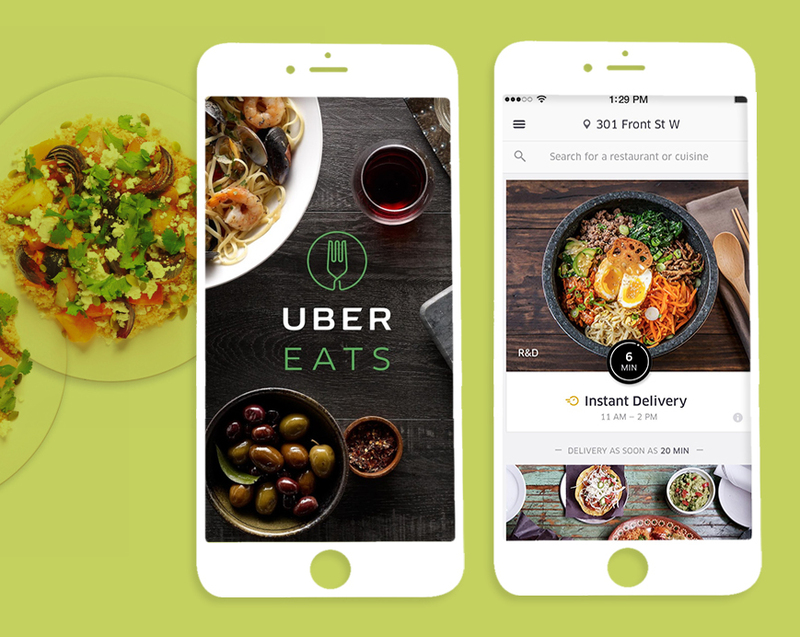 UberEats is unique in its structure as it facilitates ordering from local restaurants and delivers the food by freelance drivers who are associated with Uber. The kind of popularity it has gained and the innovative concept that it entails has led to many a new developers or entrepreneurs considering to interpret it in their own manner. The cost of developing an app like this varies quite a bit and is largely dependent on the variety of features and on the UI/UX impact on the product and it is a good idea to get an estimate of the budget from the company that you are going to employ to do the development work for you. This app was developed atop the popularity wave generated by the original Uber app and employs the same shared economy model. The idea here is to deliver a wide selection of foods to the tech savvy millennial. The range of dishes and cuisines on offer is huge and the consumers are sure to find what they are looking for instead of settling for a compromise. The specialised features like brunch, lunch, dinner etc. simplify the process further by saving up on time. The notifications sent out to remind those people who tend to lose track of time and get caught up in work, to eat is an added human touch. It establishes a deeper bond between the consumer and the app. It is possible to see the status of order and track the delivery personnel in real time and allay the anxiety induced by uncertainty that come with long waits. 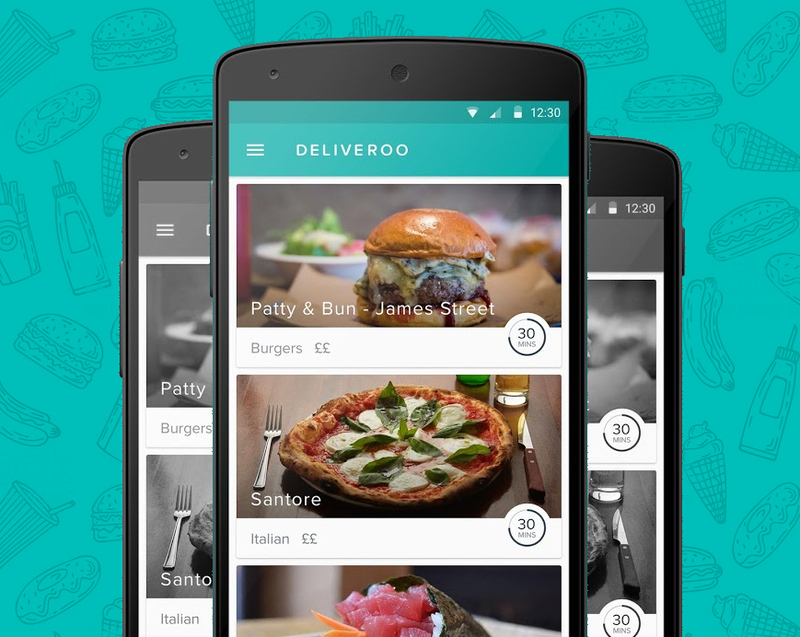 On Deliveroo a consumer can select a food provider or a restaurant of their choice from a list of restaurants based on their location and get their chosen food items delivered to a location of their choice. The Deliveroo model is of great benefit to everyone involved, the consumers get great quality food delivered to their doorstep, restaurants that do not have the bandwidth to offer home delivery gain from this delivery system and can increase their revenue by a margin of 30% or even more, and the delivery personnel enjoy a good compensation for work where they can choose their own working hours. The customer support offered by them is of the highest standards. By keeping a limited delivery radius they encourage the best local restaurant partners to flourish, encouraging them to better their quality and bringing simplicity to their logistics. Lucrative promocodes and deals especially for first time users making onboarding easier and allaying their reservations, mostly earning a lifetime consumer. The most exciting feature or USP for Deliveroo is that their average delivery time is a mere 32 minutes. They have aims to partner with premium restaurants who typically do not offer delivery services. They have even partnered with a Michelin starred Indian restaurant – Trishna in Marylebone, England. Let’s simplify the whole process of making food delivery app like UberEats and its features before you create your own app with Appy Pie! Note: If you offer food delivery service, you can turn on Delivery System. Once you turn it on, we will then provide you with a Delivery personnel app as well. 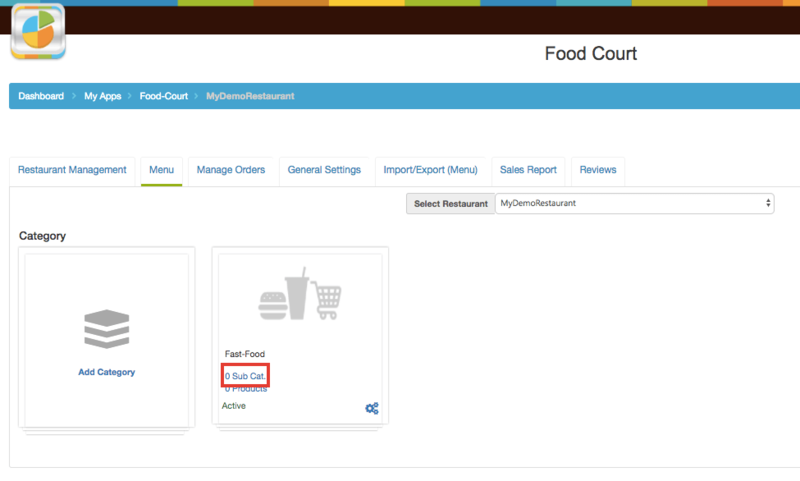 7) At this step, you will reach a screen where you would need to fill in the details of the restaurant you are adding to the food court. Note: As soon as you create a restaurant, the restaurant owner will receive a vendor credential email, on their registered email address. 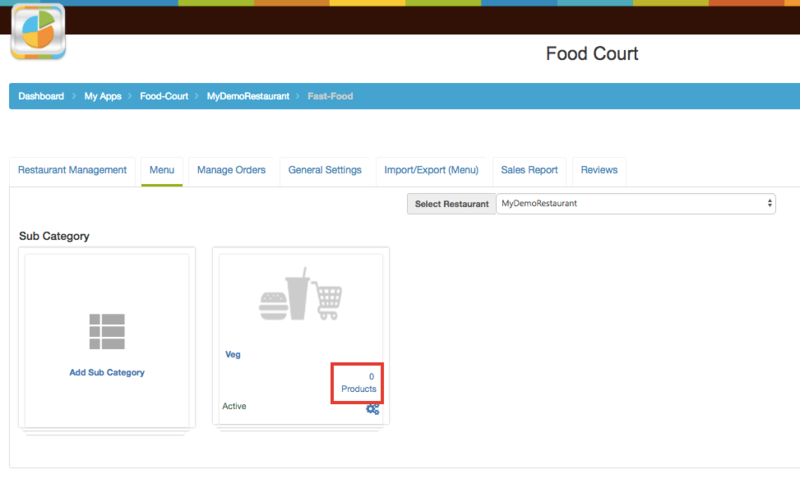 Vendor or restaurant owner can use it to manage their menus and orders in real time. Appy Pie foresees a strong growth curve for food ordering apps similar to UberEats and a sizable increase in their popularity in the years to come. The time is ripe to get started on your own journey to building a food delivery app like UberEats and make a mark in the app world and in the industry of food delivery.